Donovan eventually finds himself neck-deep in a fragile two-for-one prisoner exchange with the enemy: Abel for Francis Gary Powers (Austin Stowell), the pilot of a U-2 spy plane who was shot down over the Soviet Union, and Frederic Pryor (Will Rogers), an American student abroad in Germany. The titular bridge is both Germany’s Glienicke Bridge, where the prisoner exchange takes place, as well as Donovan, himself, the link navigating the waters between both parties. 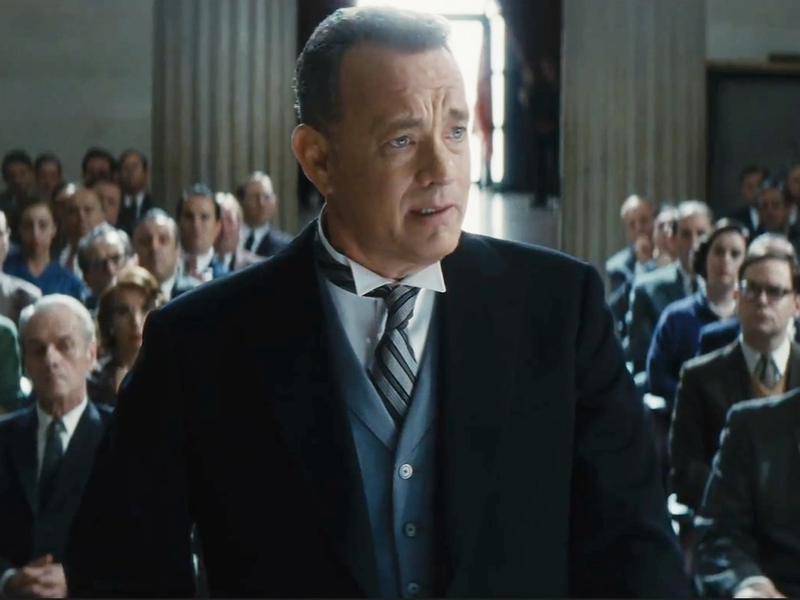 Hanks tactfully plays the quintessential “good guy,” off of whom audience members are able to measure the strength of their own convictions. How willing is one to stand up for his beliefs, even if it means defending an unpopular figure and putting his family at risk? In sympathizing with Donovan, the audience is also forced, in a way, to sympathize with Abel, despite his crimes against America. In fact, it’s America that comes across as the enemy, abandoning its ideal of due process merely to stick it to the opposing side. 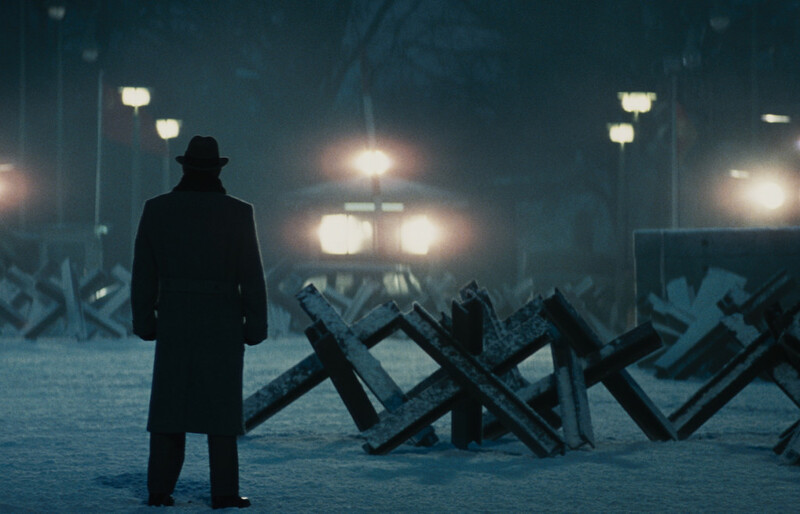 As Donovan puts it to the Supreme Court, “Will we stand by our cause less resolutely than he (Abel) stands by his?” In demonstrating such a controversial take, Spielberg and writers Matt Charman, Ethan Coen, and Joel Coen risk alienating a “pro-America” audience. Content aside, it’s difficult to deny that Spielberg is a master of his craft, and this film is as striking as it will be difficult to swallow for some. And that’s the hallmark of a good Participant release (the production company also behind this season’s thought-provoking Beasts of No Nation, Spotlight, and He Named Me Malala, as well as Spielberg’s last film, Lincoln). 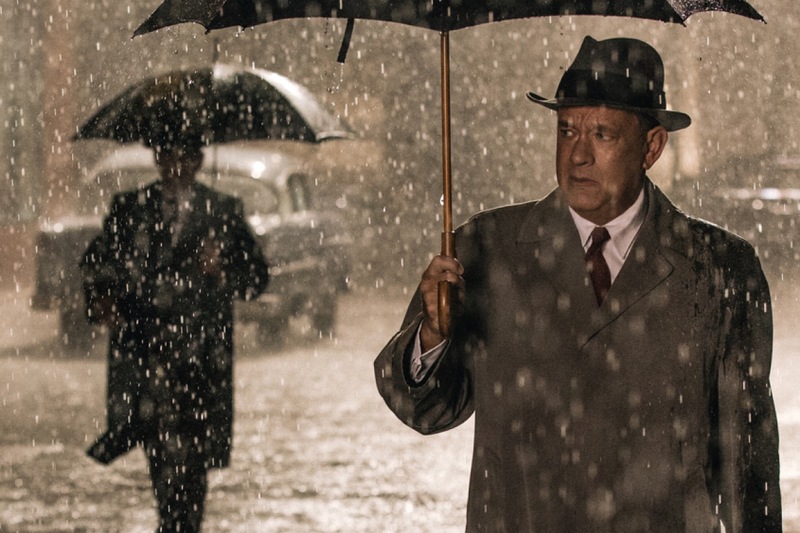 The film is beautifully lensed by longtime Spielberg cinematographer Janusz Kaminski (Oscar wins for Saving Private Ryan and Schindler’s List), who adds a tinge of old-Hollywood glamour through his capturing of scenes on rain-slicked streets and in backlit rooms. Supporting roles by Alan Alda, Peter McRobbie, Billy Magnussen, and Sebastian Koch are strong. 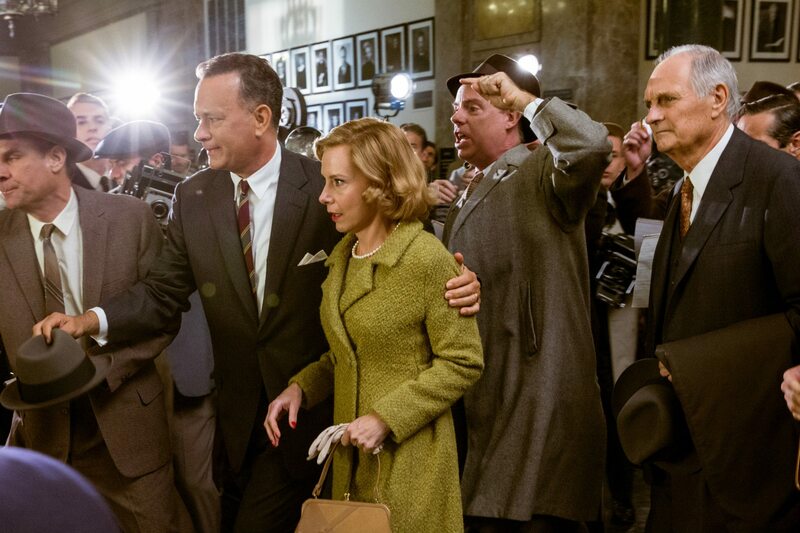 Amy Ryan is just about the sole female face in the film, and her role is reduced to the worrying housewife—not the best use of her enormous talents. The film’s resolution offers a level of sentimentality that might induce a few eye rolls, but it seems warranted and expected in a Spielberg picture. 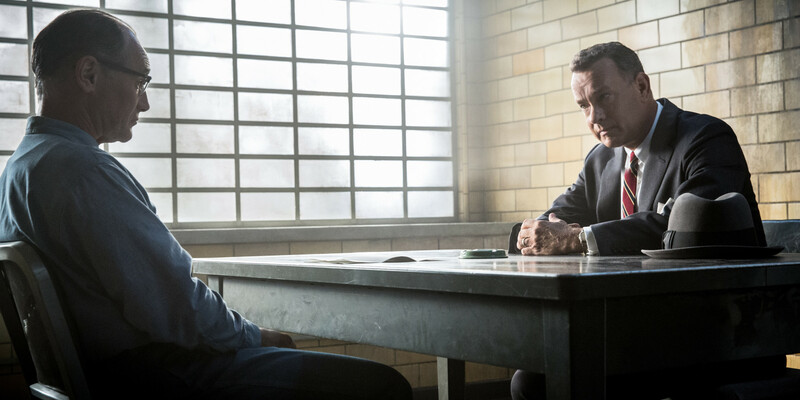 Bridge of Spies bows to a worldwide audience on October 16, following stops at the Hamptons International and Mill Valley film festivals.